Thomas M. DiCaudo graduated from Walsh High School in 1979. He then attended The University of Akron where he graduated with a Bachelor of Arts degree focusing on Accounting. 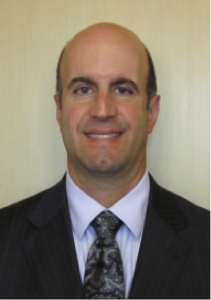 Mr. DiCaudo attended The University of Akron School of Law graduating in the top of his class and was admitted to the practice of law in Ohio in 1988. After being admitted into the practice of law, Mr. DiCaudo accepted a position with the City of Akron Prosecutor’s Office. He was an Assistant Prosecutor from November 1988 to January 1990. He was promoted to the position of Police Legal Advisor in January 1990. Mr. DiCaudo was promoted to Assistant Chief Prosecutor in 1991. Mr. DiCaudo supervised courtroom prosecutors, was in charge of liquor enforcement and advised police departments on murders and other high level felonies. In June 2008, Mr. DiCaudo took his vast experience and knowledge of the law into the private sector. In March 2014, he co-founded the law firm DiCaudo, Pitchford & Yoder LLC.